Hi everyone, it’s Courtney with Crafts by Courtney, thanks for checking out my very first interview! 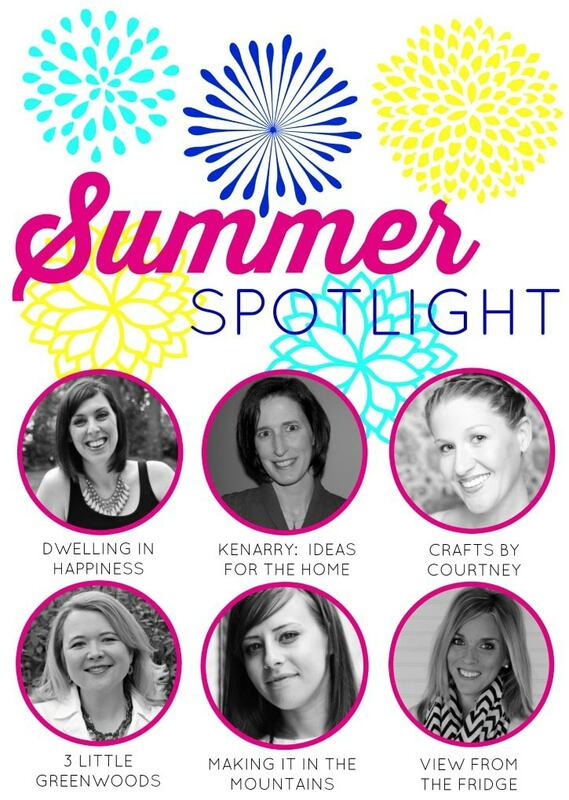 For my first Summer Spotlight pick, I chose a very talented blogger and friend of mine. Amanda at Crafts by Amanda. I’m sure many of you already know and recognize Amanda. She has been in the blogging game for a while now and in my opinion is one of the top bloggers and an inspiration to many. 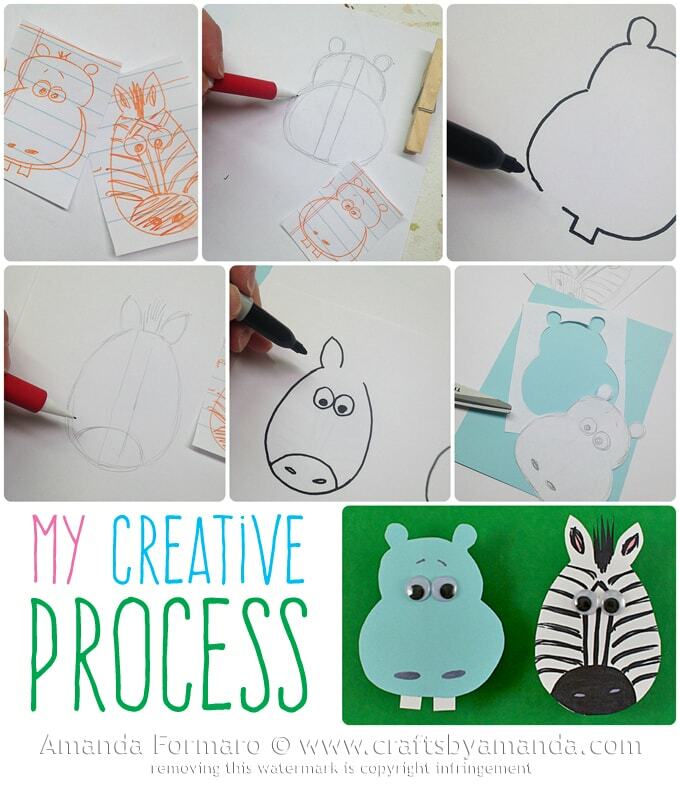 Amanda creates cool kids crafts and beautiful home crafts on her site. I first came across Amanda’s site about two years ago. I was inspired by many of her projects (especially the kids crafts). When I started working for Kix Cereal as a contributor. I felt honored that I was working along side her. We started talking and our friendship grew. She has become my blogging mentor and I truly respect her and what she has accomplished over the years. 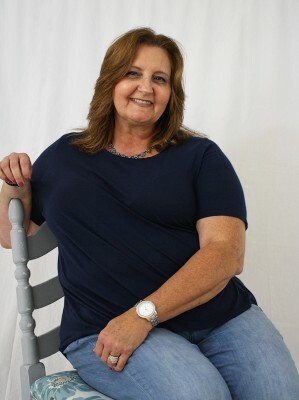 Amanda has been blogging since since 1997 and has been featured in publications from Better Homes and Garden to Good Housekeeping and Country Living Magazine (just to name a few). She has over 361,000 Facebook followers and has written 5 books and has contributed for many large blogs such as Disney. This year she was featured once again in Parents Magazine, 2015 March edition. She has worked hard over the years to accomplish her dreams and make a brand for herself. I think she has proven if you WORK HARD, you can make a living blogging. One of my favorites is a recent craft she did for her new studio/office space. 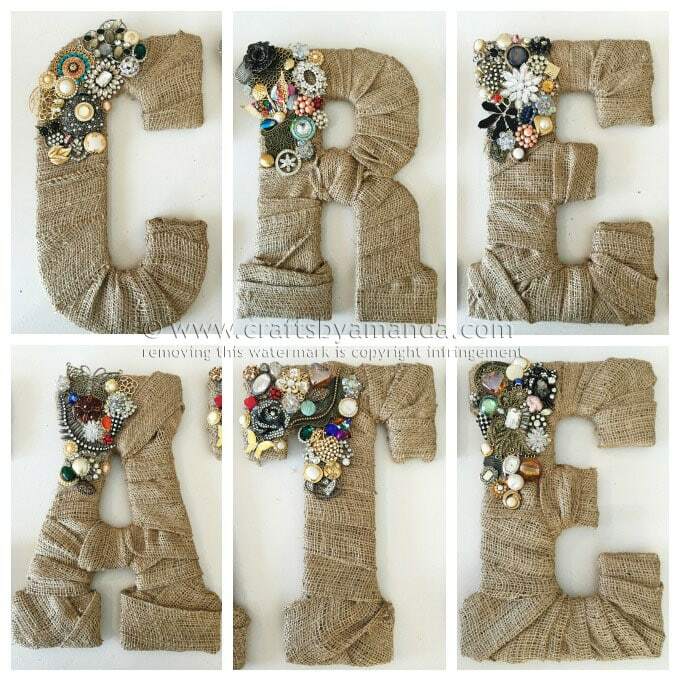 Vintage Jeweled Burlap letters. She wanted to have inspiring wording on the walls of her studio. I think these letters turned out amazing. The jewels are to pretty and they look perfect above her studio window. Amanda has a long list of amazing kids crafts. 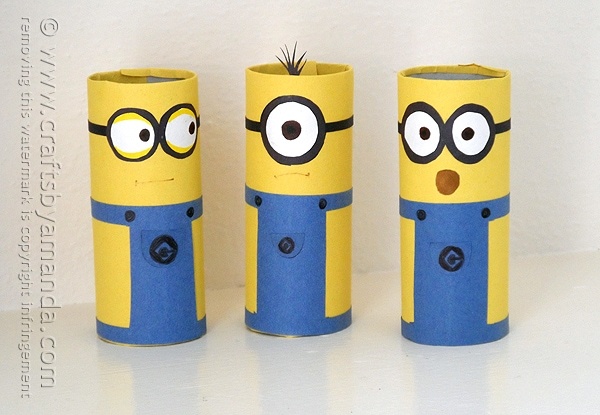 I’m sure most of you have seen these little cardboard tube minions all over the place. My boys absolutely love these. Here’s a quote from an inspiring post of her’s about how she got here and her creative process. If you had asked me in high school if I ever thought I would be creating craft projects for adults and kids, I would have said no. This post was a great read and it was nice getting to know Amanda a little more and finding out how she got started with blogging. 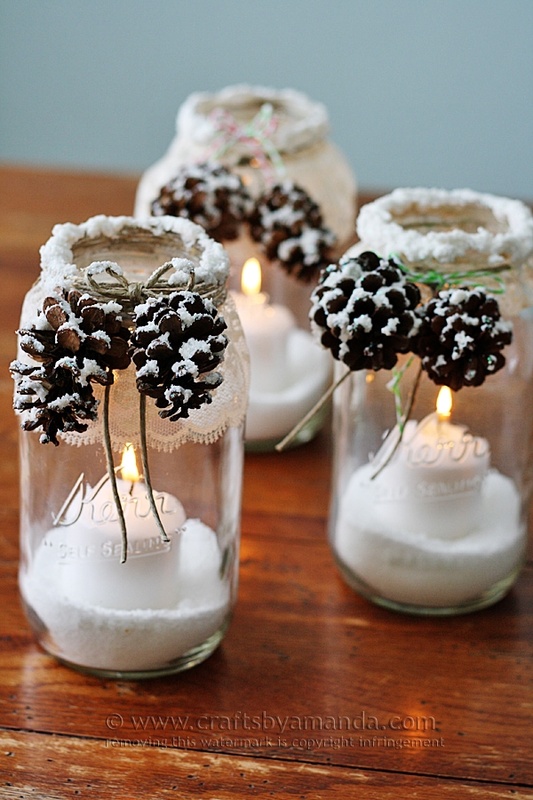 Here is another great project from Amanda…Snowy pinecone candle jars. These have been featured on many websites, like Country Living Magazine and Better Homes and Gardens. Amanda has TONS of amazing holiday ideas like these on her site. Make pretty luminaries that appear to be covered with freshly fallen snow using snow texture paint! Oh so gorgeous and perfect for the holidays, they are very easy to make. Amanda is also a fan of coastal decor (like me). She has a huge selection of beach inspired crafts she’s made for her home. 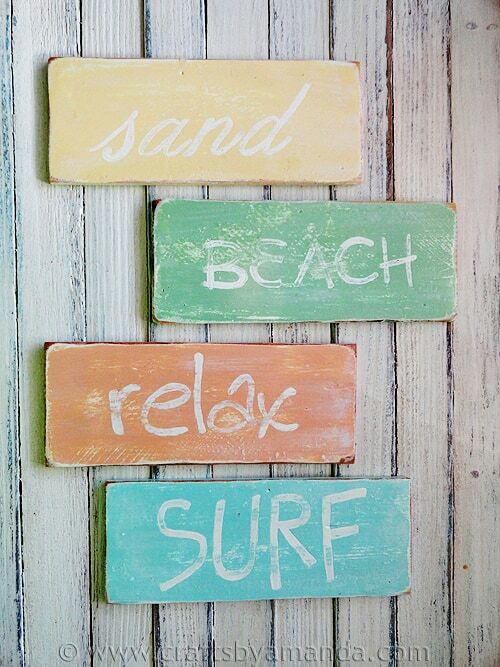 One of my favorite are these simple weathered beach signs she created. They were stenciled by hand! Spring break has come and gone and many people hit the beach during this time of year. We come back home with a bag of seashells, the sound of the ocean waves crashing in our ears, and the smell of warm, summery air in our nostrils. 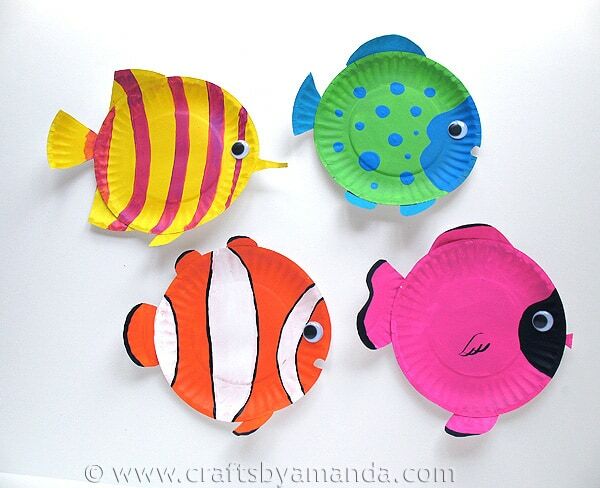 Another one of her kids craft favorites of mine is the Paper Plate Tropical Fish. These tropical fish are so creative and colorful. Perfect Summer craft to add to your boredom buster list for the kids. I am heading to Florida for a conference in less than two weeks, and that has me thinking of all things beachy. Tropical fish live in the ocean, and their colors are vibrant and beautiful. Not only does Amanda have her Crafts by Amanda blog, but she also has Amanda’s Cookin, a site COMPLETELY dedicated to recipes she makes herself. She’s not only a talented crafter, she is also a talented cook/baker. She can do it ALL!! This blog is filled with mouth watering, desserts, dinners and yummy snacks. I would have to say this Pineapple Dream Dessert is one of her most popular recipes. It looks so tasty and has been featured all over the place. You know those desserts that seem to be at all the family gatherings? Those recipes that your grandma has been making for years? This is one of those desserts. 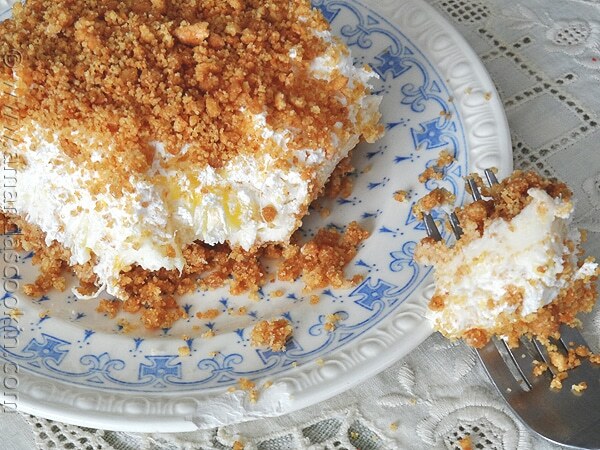 This is one of those light and fluffy desserts that can be easily transported, hence it appearing at all those family functions, and rarely has leftovers. 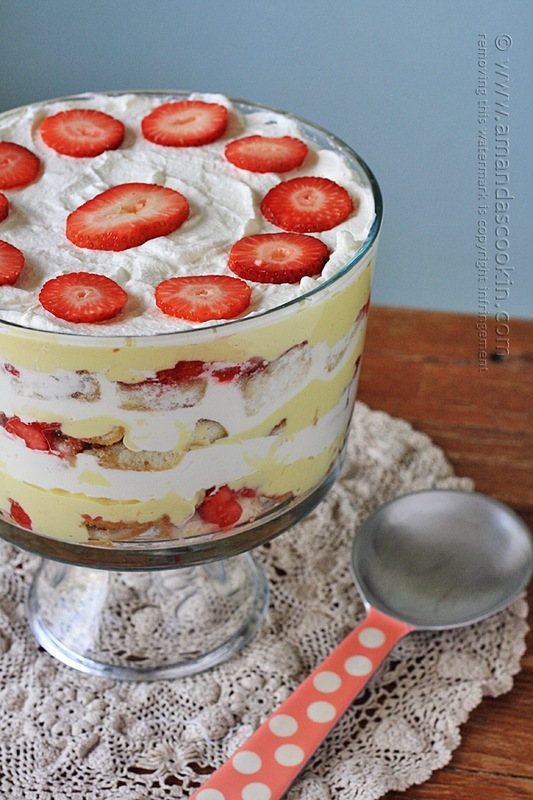 Another tasty dish is her Traditional English Trifle. The English trifle is close to Amand’a heart because she was actually born in England and her Mother was English. She moved to the states with her family back in 1969. Interesting fact, I bet you didn’t know about Amanda! Finally, I wanted to show off some of Amanda’s “MANIA” books! I’ve received copies of these books and they are totally awesome. My boys love going through them and picking out crafts to do. She has done an amazing job putting them together and coming up with the ideas. I think these are one of her biggest accomplishments and she did a fantastic job! I sent Amanda these interview questions a week ago. I think this will help out a lot of new or even older blogs out there and reassure us that we should never give up on our dream. 1. What’s the best part of blogging so far? Amanda: I love the freedom that my online career has afforded me. I started in 1997 with a website and have been working for myself online ever since. I couldn’t imagine going back to Corporate America after that! 2. And your least favorite part of blogging? This is going to sound CRAZY – but my least favorite part is actually writing the blog post! I love the crafting and cooking aspect, and even find enjoyment in editing photos and promoting the post. I just don’t like putting it all together. That’s the part that feels like work the most! 3. What was your first book? My first book was actually two books. Reader’s Digest Children’s Publications (now Studio Fun International) found my portfolio site, AmandaFormaro.com and reached out to me after browsing my work/resume. I began working on both books in the fall of 2013. 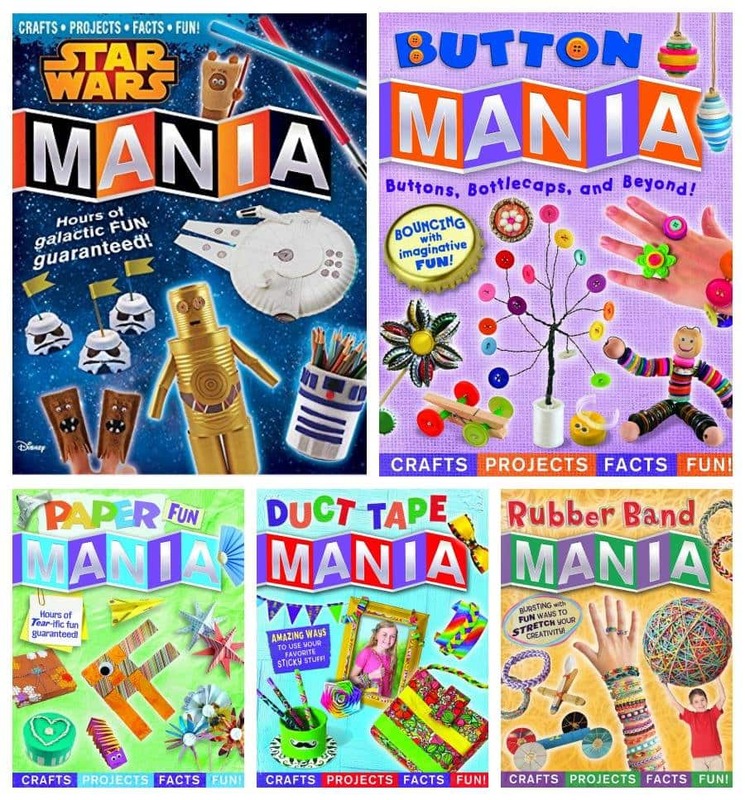 Rubber Band Mania and Duct Tape Mania went on sale in August of 2014. I just completed the prototypes and instructions for my brand new Crafts by Amanda branded craft kits. There are three different kits and will be sold through S&S Worldwide. It’s very exciting, my first branded product! Also, my 3rd, 4th and 5th book all are going on sale in August (Paper Fun Mania, Button Mania and Star Wars Mania). I’m currently putting together a couple of different pitches for another publisher and hope to be working on a new book soon thereafter. 5. What is your post writing process? After the craft has been made and photographed, I begin by going through all the photos and weeding out any that I don’t like. I generally make one squarish photo for the top of the post, a longer pinnable graphic, and 2-3 more photos highlighting the project at different angles or viewpoints. I only begin writing the post after my photos are ready. I use a text file to write my post and paste it into my blog’s editor when it’s done. I am mindful of using proper SEO while keeping my post in a natural tone. Next, I add any affiliate links, links to other sites (if applicable) and links to related projects at the end. After posting I immediately pin the post to my blog-specific Pinterest board and schedule it on social media. 6. Do you have any tips or advice for bloggers just starting out? I’ve been at this for a long time. Ten years as a webmaster, and now seven years as a blogger. While there are some blogs that have experienced amazing traffic growth in their first year or two, it’s important to understand that is NOT the norm. Remember the old adage, “slow and steady wins the race”. Work seriously and consistently. You don’t have to post every single day, so don’t kill yourself doing so. Create valuable content with good photos and promote, promote, promote. Don’t expect to grow overnight, it takes hard work and a schedule of some sort. You don’t HAVE to post on the same day every week, just try to create some sort of consistency so that your posts are getting out there regularly and being discovered. Use Google Analytics to track your traffic and analyze where your visitors are coming from. There are hundreds of tips and tidbits of advice I could mention, but consistency and quality are the ones I always stress the most. 7. Do you have any more advice? For those bloggers that are looking to work with brands, write for magazines and other publications, and perhaps publish a book someday. Buy your name as a domain. If you don’t already own your name, you should. I have an entire article on WHY you should on AmandaFormaro.com. While that site of mine is simply a portfolio of my work and gets ultimately no traffic (literally less than 2,000 pageviews per MONTH! ), I have developed some great relationships as a direct result of brands, and even my publisher, discovering me there. Thank you Amanda for taking the time to share more about your writing process and other tidbits of inspiration! I really enjoyed getting more insight of a successful blogger. If you enjoyed this feature about Amanda at Crafts by Amanda, you may want to check out the other bloggers we’ve featured in the Summer Spotlight. You can also visit our Summer Spotlight Pinterest board to view all the great ideas we’ve shared in this series.